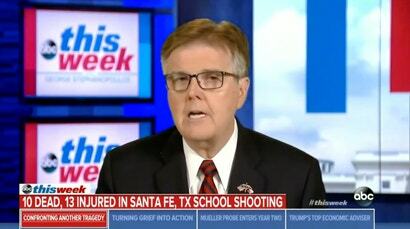 Just hours after a 17-year-old killed 10 people at a high school in Texas, Dan Patrick, the Lt. Governor of Texas, said that maybe schools should have fewer entrances and exits. But yesterday he explained that there are a lot of other things to blame than just doors. Like Facebook, Twitter, and violent video games.